SWIMMING: After dominating pools around Australia, Fairymead is now doing the same to pools from across the ditch. 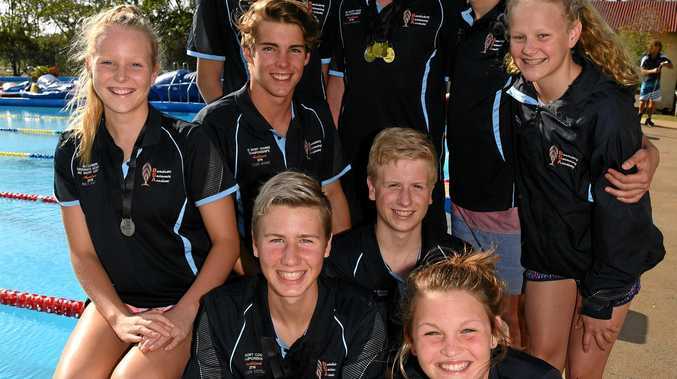 Competing at the recent New Zealand Short Course championships, nine swimmers participated with four gaining medals at the event. This included Jordan Smith who was the star of the meet. The 13-year-old won six medals including four gold in the 50m, 100m, 200m, and 400m freestyle events. "I'm very happy with my swims,” he said. Not to be outdone both Connor Simms and Julia Baren overcame adversity to both win silver medals. Winning the medal in the 100m freestyle in the 15-year-old age group, Simms said it turned around a disappointing meet after being disqualified in the 200m freestyle. For Baren, 15, she fought off illness to win silver in the 200m butterfly. "I knew there was not a lot of fitness there so I had to be tough mentally,” she said. Finally Macson Cottle, 14, won two bronze medals and a silver and said he was pleased to beat his personal best times again. Paying tribute to all medallists, coach Paul Simms said his first time swimmers at the meet were outstanding as well with Paris Bell winning swimmer of the meet at her first international event. The swimmers will now prepare for the local City of Charm on November 18.